Everything’s coming up Pansies. 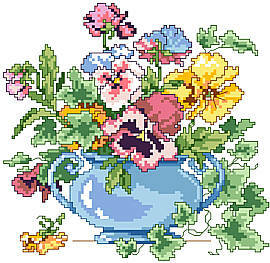 Spring into the season with these bright-faced Pansies and trailing ivy. 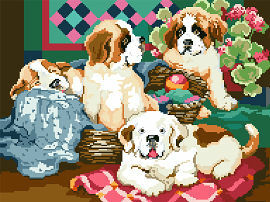 A vase filled with beauty and charm. Find the chart Here! 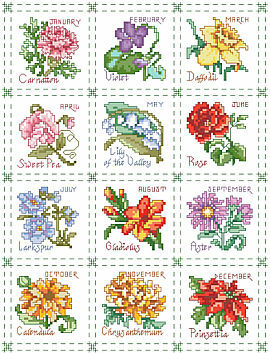 A beautifully designed and detailed flower for each month of the year is depicted in this charming quilt-like sampler. 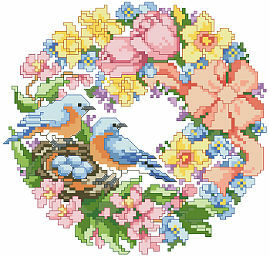 These flowers can be used as a complete sampler as shown or individually on bookmarks, ornaments, small frames or on hand towels. 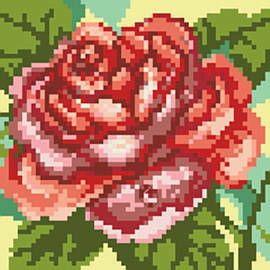 The classic botanical style is timeless and will fit any décor. Find the chart Here! 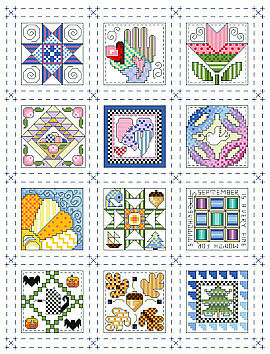 If stitching full size traditional quilt blocks seems too daunting, try stitching 12 tiny quilt block designs instead. 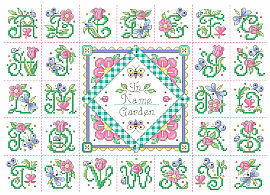 These adorable and charming little square motifs fit the seasons and each month of the year and look fabulous as a grouping consisting of all twelve. 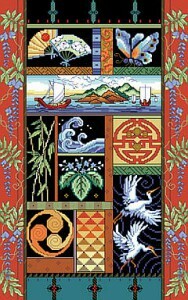 They would also make great birthday gifts, stitched up on cards, bookmarks or in small frames for that special friend or quilting aficionado. Find the chart Here!